"The Cross Over Kiva" Mt. Tallac, Lake Tahoe, CA. Mt. 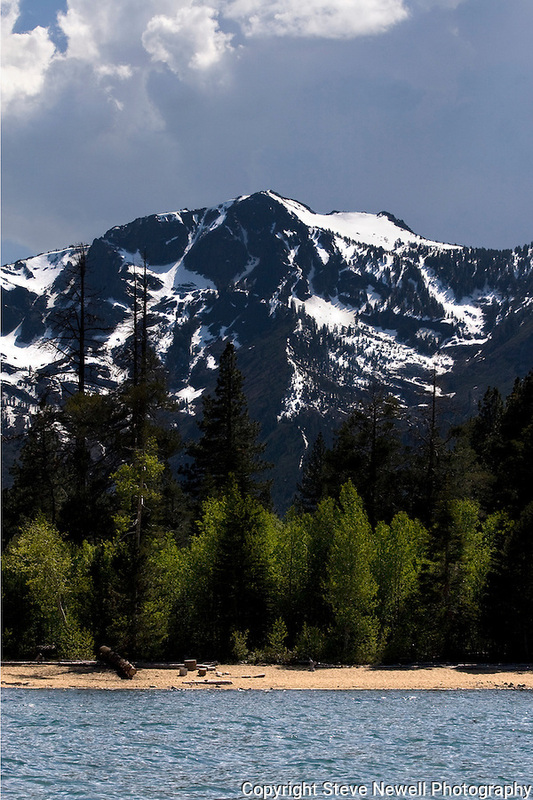 Tallac is easily recognized by the distinctive cross of snow that forms every Summer. Just to the right of the summit you can see the big patch of snow known as the North Bowl. Local winter mountaineers climb and ski/ride down Mt. Tallac during the Fall/Winter/Spring months. During the Summer it is a popular hike for locals and tourists alike. This image was taken from the water in front of Kiva Beach with Mt. Tallac and it's Cross in the background.